Every great movement of God is preceded by a season of humility and repentance and a time of tearing down walls, of getting honest with God and others about your true spiritual condition.It may be hard. It may hurt. But in the end, God will use your brokenness to restore your 'first love' for Jesus, rekindle your spiritual fire, reconcile your relationships, and repair your life.A richer, deeper, more God-filled life is waiting for you. 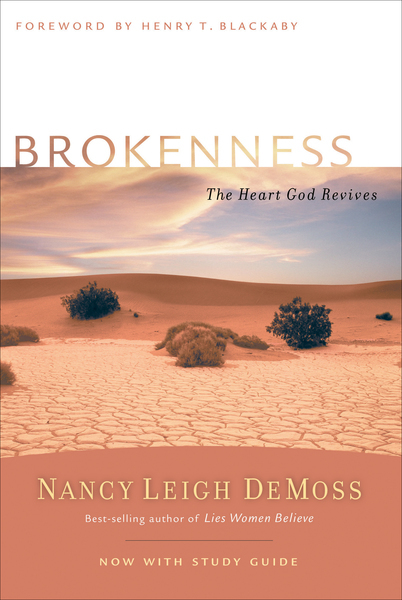 And it all begins with Brokenness.The Revive Our Hearts Trilogy - Now in Paperback!This bestselling series by Nancy Leigh DeMoss has sold well over 80,000 copies! All three titles now include study questions at the end of each chapter, making them ideal for personal or small group study.